Iowa’s Republican Gov. Terry Branstad wants Ted Cruz to lose. Iowa Gov. 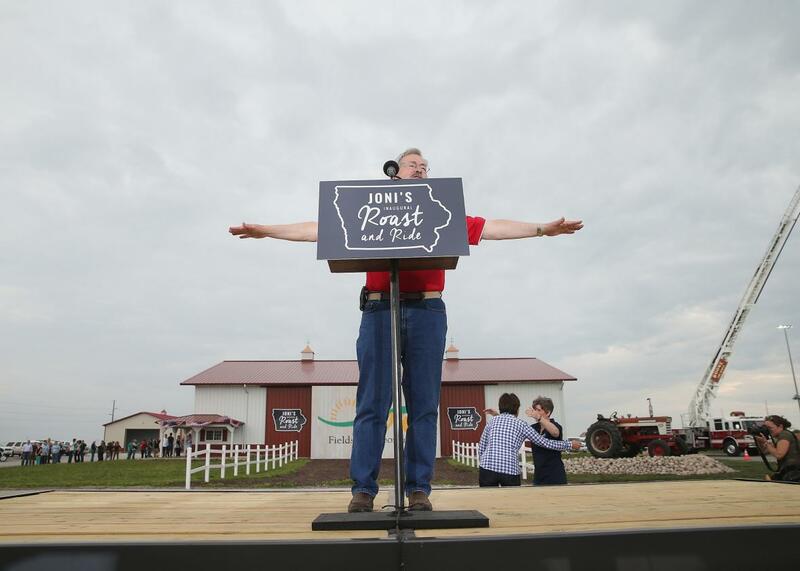 Terry Branstad speaks at a Roast and Ride event hosted by freshman Senator Joni Ernst (R-IA) on June 6, 2015 in Boone, Iowa. Donald Trump spent much of Tuesday teasing what would ultimately turn out to be a high-profile endorsement from Sarah Palin, scheduled for the evening in Iowa. The significantly less attention-grabbing—though arguably as consequential—news in the Hawkeye State, however, came Tuesday afternoon when the state’s Republican governor offered an anti-endorsement of Trump’s chief caucus rival, Ted Cruz. Branstad, the longest-serving governor in U.S. history, easily won his sixth gubernatorial election two years ago, defeating his Democratic opponent by 22 points. Branstad has seen his approval ratings slip since then amidst a controversial push to privatize Medicaid, though he remains very popular in his own party. A Quinnipiac poll from this past summer found his Republican constituents overwhelming approve of the job he’s doing, 75 percent to 15 percent. (Pollsters have largely stopped asking Americans about how they feel about Palin but, for comparison, the Democratic-leaning Public Policy Polling surveyed Iowans back in the spring of 2014 and found 68 percent of Republicans had a favorable view of Palin, compared to 18 percent who had the opposite.) Iowa Republicans are similarly big fans of the federal biofuel program that provides a huge economic boost to their corn-rich state. According to a Bloomberg poll taken in December, 61 percent of likely GOP caucus-goers support the current federal mandate. Cruz will probably try to wear Branstad’s comments as another anti-establishment badge of honor. That, though, will be a difficult spin given Branstad spends his day in Des Moines, not D.C. Regardless, with less than two weeks left until Iowa’s first-in-the-nation caucus Cruz now finds himself having to play more defense than he had likely planned. The only good news for Cruz? Politicos and pundits may be too busy talking about the Palin endorsement he didn’t get to notice the Branstad anti-endorsement he did.